Today if something is not found on Google, it doesn’t exist. 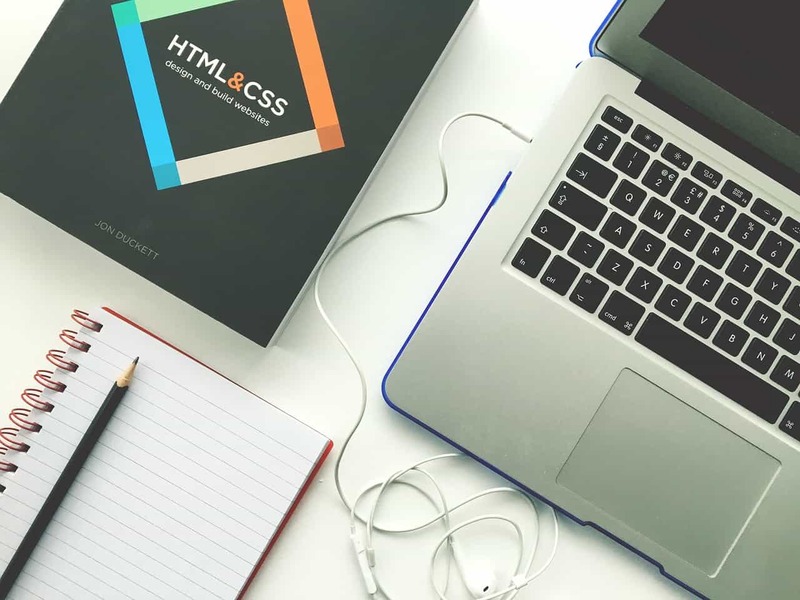 If you really want to succeed as a web developer, copywriter, photographer, coacher or blogger, you need a professionally crafted, well-structured website. The secret to getting a design job is to have a great online portfolio. The age of printed portfolios went west. These days the internet has penetrated to all spheres of life, and without an effective site you are doomed to fail. Choose a search engine optimized, user-friendly, easy-to-use platform for building your personal site. If you’re a newbie in this area, opt for ready-made WordPress music themes, themes for writers, photographers and videographers. Premium templates come with all the necessary tools and options, advanced functionality, intuitive interface and smooth navigation. 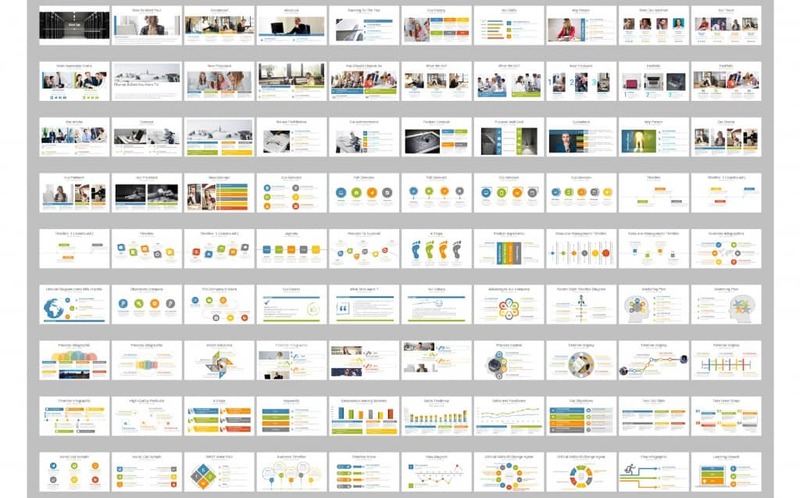 Effective gallery and impressive custom widgets are aimed to point out your strengths. Don’t implement everything you’ve created. It would be more reasonable to opt for a few yet best photos or articles. 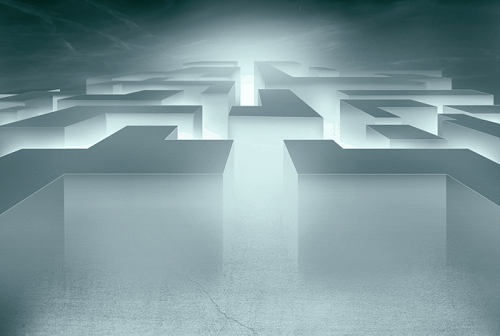 Don’t overwhelm your portfolio with content because it will become too complex to navigate. 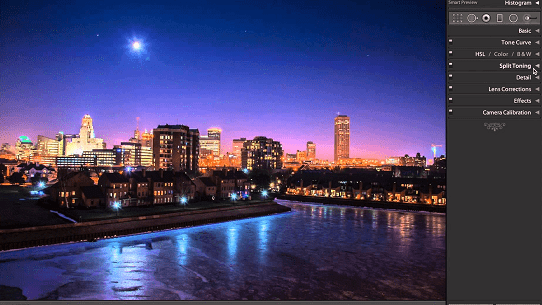 Use parallax or other scrolling tools that are very popular today. 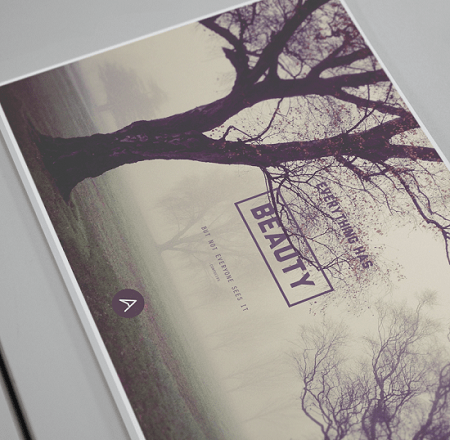 Your portfolio can be presented as a one-page website with scrolling that moves the viewer along nicely. Don’t afraid to implement modern technologies into your site while keeping it easy-to-navigate and fast-loading. 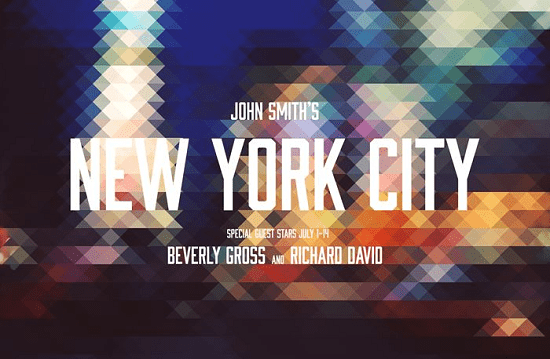 Grab bold, impressive typography since it plays a great role in the nowadays web design world. Each and every font can evoke specific emotions and feelings. 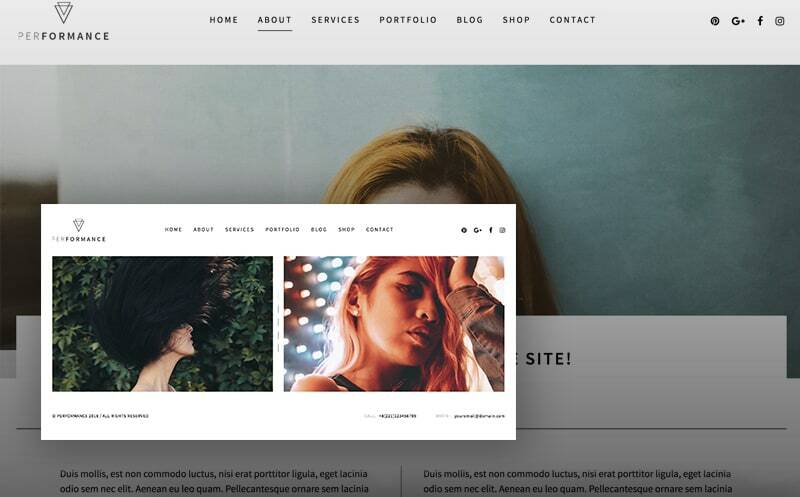 Below you will find the best 20 responsive WordPress themes to create a unique portfolio. Sprout boasts minimalistic and clean design, extensive blog functionality and a pack of highly customizable features. There are more than 100 customization options that can be easily adjusted up to your preferences with WordPress customizer. The theme is packed with 4 amazing blog layouts which will display your content in accordance with your needs. With Anna Solas, your photography masterpieces will definitely become noticed by a recruiter. The website template welcomes you with a big image slider that includes the call to read more info about author’s personality. 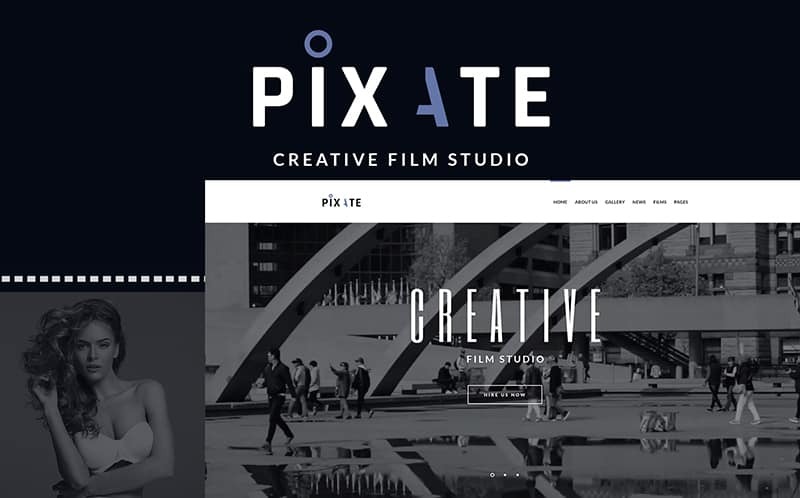 Pixate offers top-notch Retina-ready design, elegant pages with impressive widgets and extensive functionality. The theme is equipped with additional options like Booked Appointment and WooCommerce plugin, tons of web fonts and multiple content modules. MagicTouch looks really magic yet functions smooth and fast. The theme comes with comprehensive documentation, efficient support, and SEO-friendly code. With Live Customizer, each and every element of the theme can be easily customized in a moment. 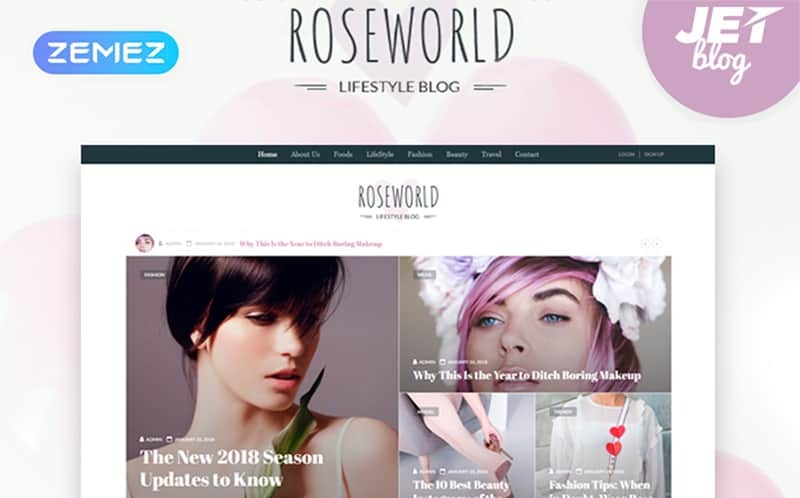 Roseworld includes unique page layouts for all occasions. Except for traditional homepage layout, the template comes with 5 blog styles (Classic, Single post, Grid, Masonry, Jastify). With intuitive Elementor Page builder, you can rule your content and page appearance and change any element you want without effort. 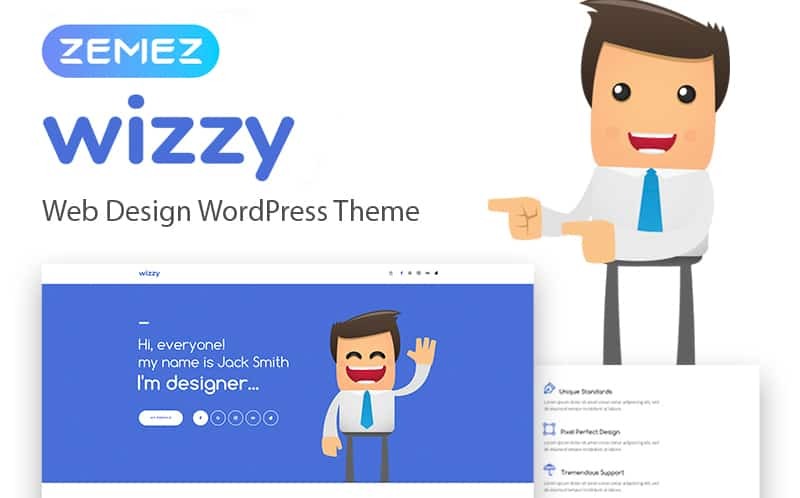 Wizzy is a modern and colorful, tech-savvy and engaging, easy to use and responsive theme suited to launch a designer portfolio. It’s a feature-rich affordable framework for the simple and fast development of gorgeous site without requiring any coding knowledge. 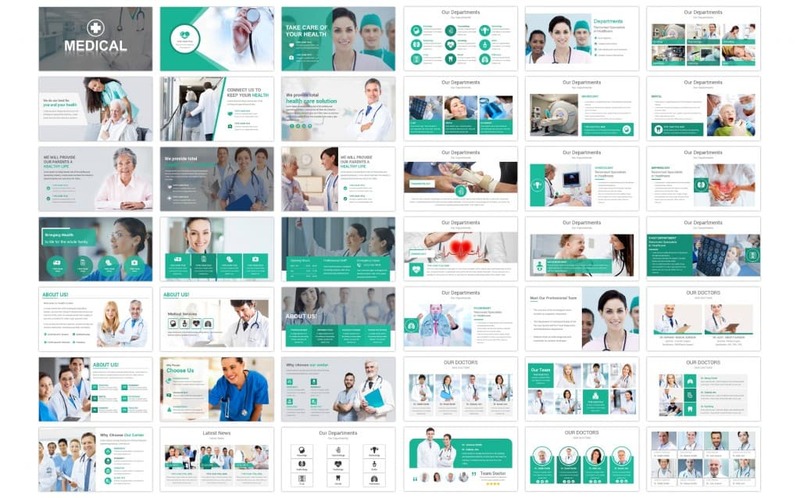 Wizzy furnishes you with an intuitive drag and drop page builder and hundreds of possibilities. 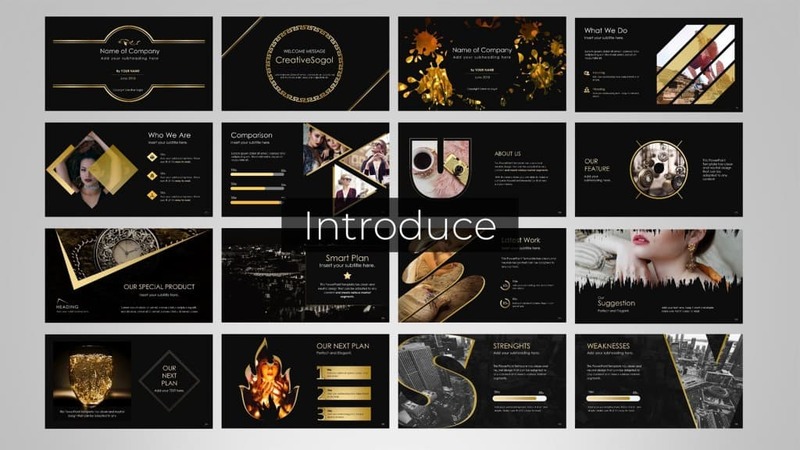 If you seek for a highly flexible, catchy theme for building a photography agency or creative portfolio, take a look at this Performance template. In addition to cutting-edge design with multiple eye-catching elements, you achieve the theme that is compatible with tons of popular plugins. 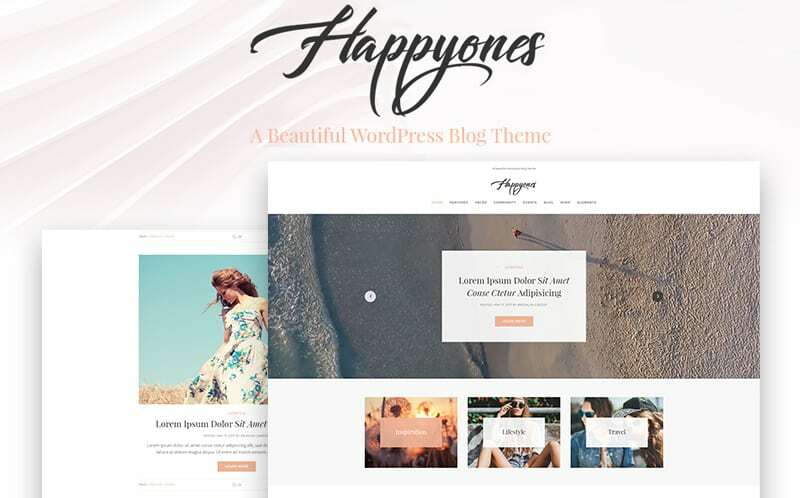 Happyones is beautifully crafted with stunning graphics emphasis needed to stand out from the crowd. 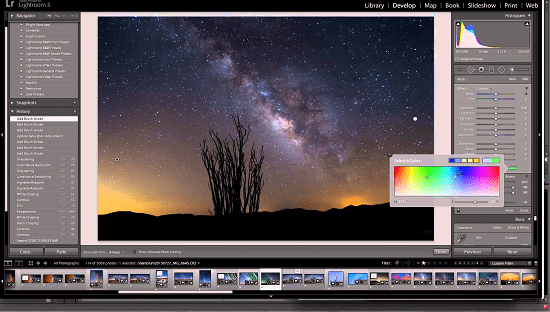 It comes with the amazing fast drag and drop Elementor page builder that allows instant editing any element you want. The template is Ecwid ready letting you run an efficient, feature-rich e-store. 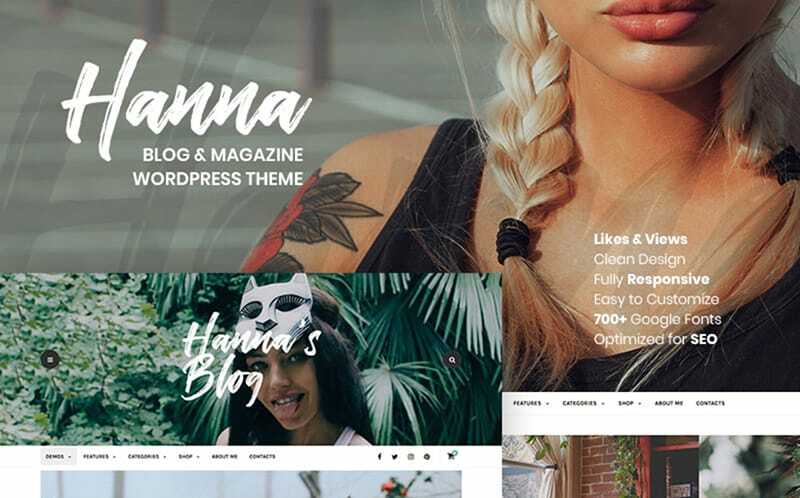 Hanna is extensively developed and luxuriously designed, pliable and wonderfully customizable theme perfectly suited for your personal blog. With tons of blog styles and layout variants, it’s possible to build an outstanding blog with featured posts and sliders. The theme comes with the rich variety of web fonts, color schemes and widget combinations. 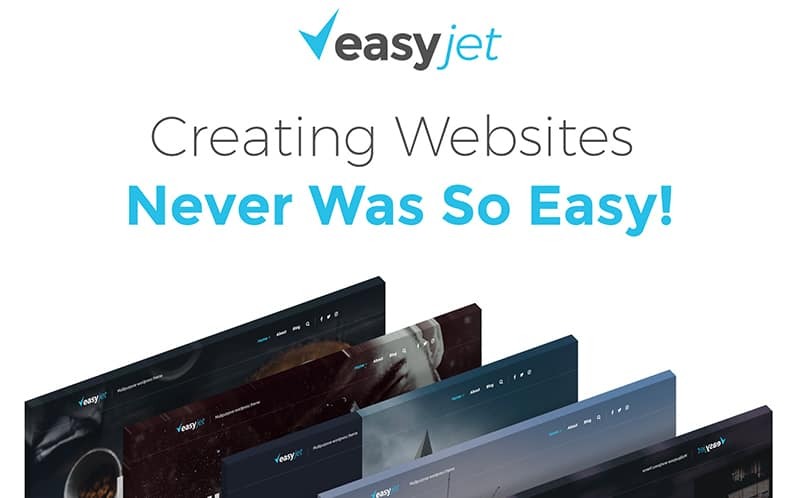 EasyJet is fast, flexible and thoroughly built WordPress theme with the rich pack of page layouts for all occasions. All of them are creative and innovative, very easily navigable and incredibly user-friendly. Having built on HTML5 code and CSS3 scripting, the theme corresponds to the latest web trends. 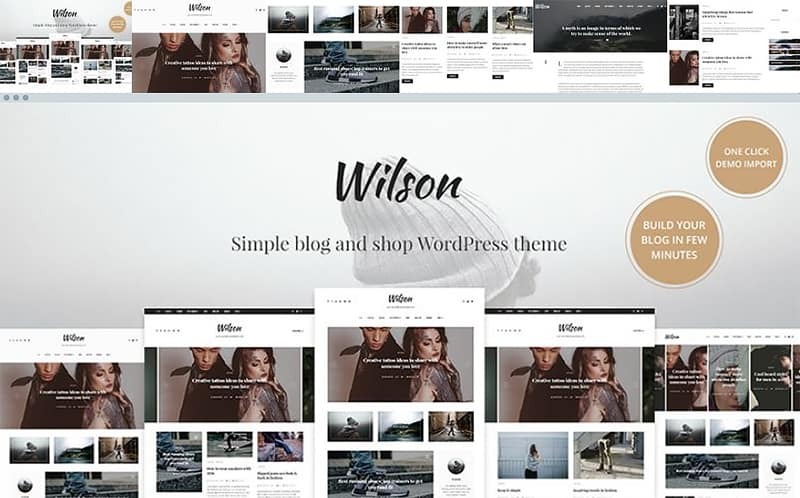 Wilson is a highly attractive and professionally crafted theme with 100% responsive design that will work perfectly on the screens of any size. The theme is packed with 5 amazing blog layouts, 5 header and footer styles as well as 5 slider versions to choose the proper up to your preferences. With WooCommerce extension, it’s possible to launch a full-fledged e-store in a short period of time. 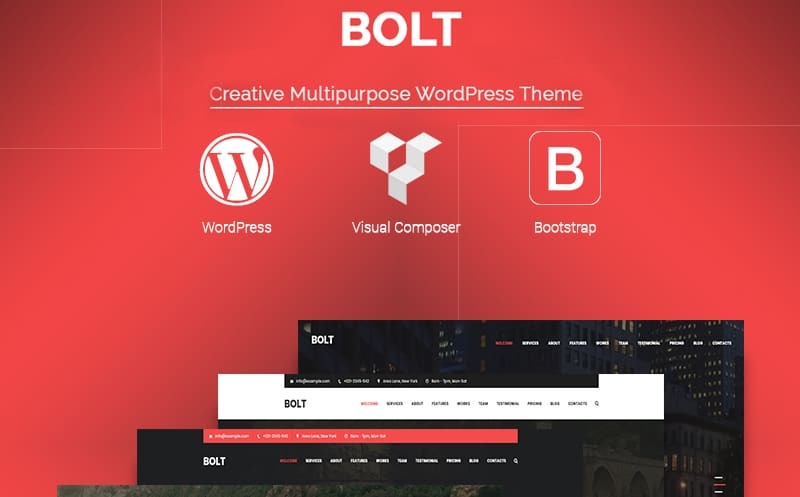 Bolt is a bright and impressive, sleek and modern, user-friendly and search engine optimized template that is ready for launching your pro portfolio. The theme includes a whole plethora of creative and handy layouts and pages to craft a site with an intuitive visual customization process. With Visual Composer builder, it will be easy to convert your imagination into a really powerful website. 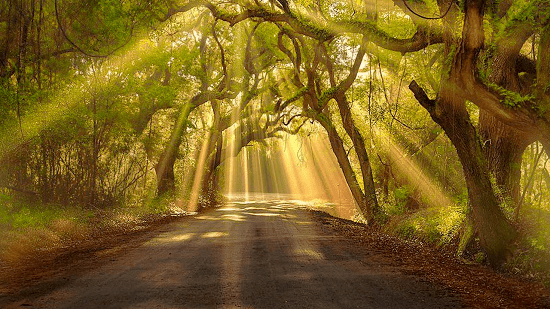 Magic promises to make a site building process really magic and engaging. 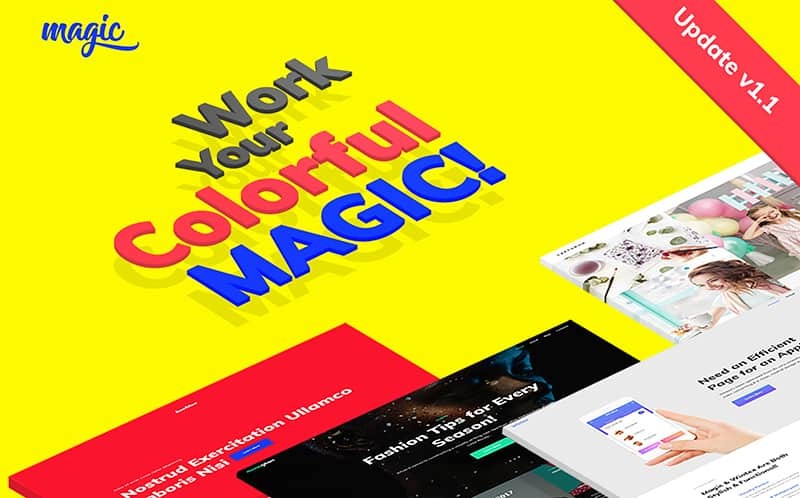 The theme boasts colorful, impressive design and unlimited possibilities to create a website of your dreams. With creative and powerful Elementor page builder, you can customize your content in a manner you want. 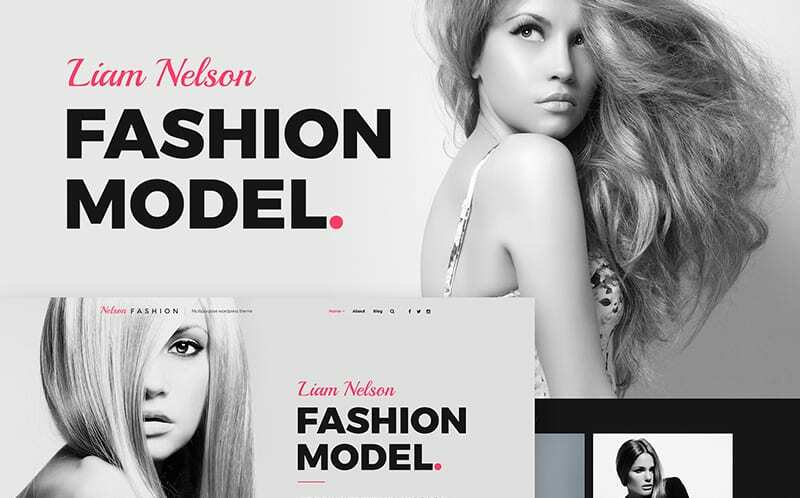 Nelson Fashion is a solid, sleek, cutting-edge and feature-rich website template with the extensively easy customization tools. Thanks to the advanced Cherry services list you can create a site with the intuitive navigation and advanced interface. After one-click theme’s installation, you can turn your imagination and customize the template up to your preferences. 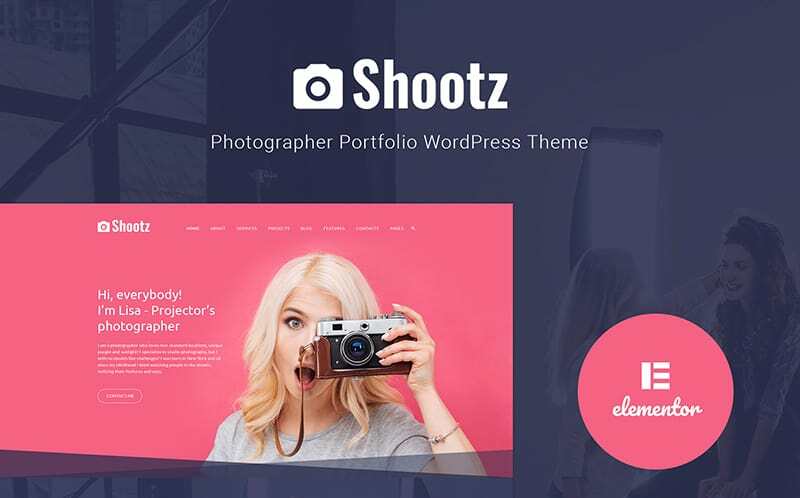 Shootz is a perfect choice for launching a solid photographer portfolio website with advanced functionality. 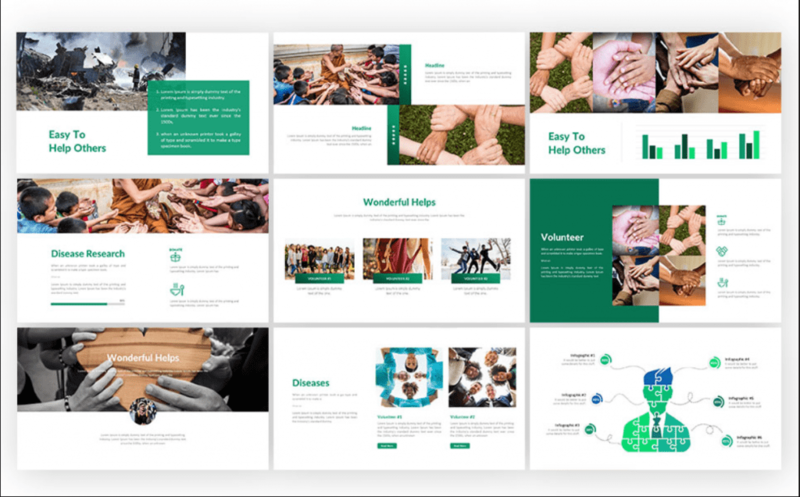 The template offers attractive pages for all occasions with different header and footer styles, 4 stunning blog examples and the set of outstanding plugins. 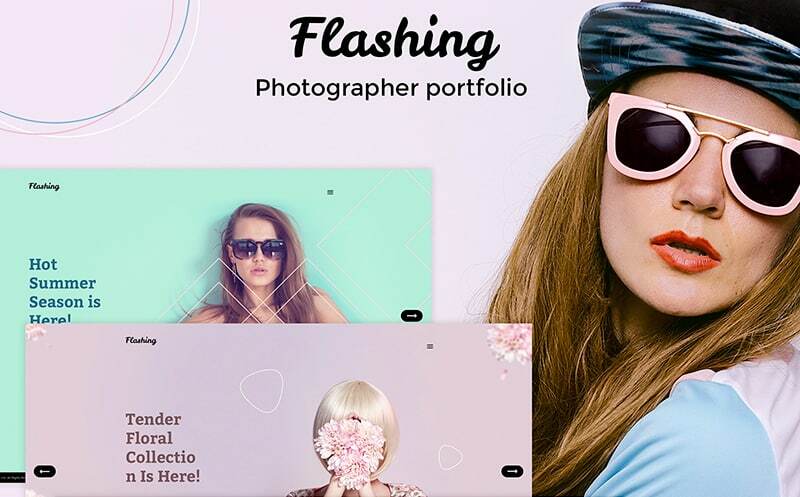 Flashing is a cutting-edge, truly remarkable and modern template for creating a top-notch photographer portfolio website easily and fast. The theme is packaged with all the necessary page layouts for building a full-fledged site with advanced functionality. With the Elementor builder, the customization process will be engaging and fun. 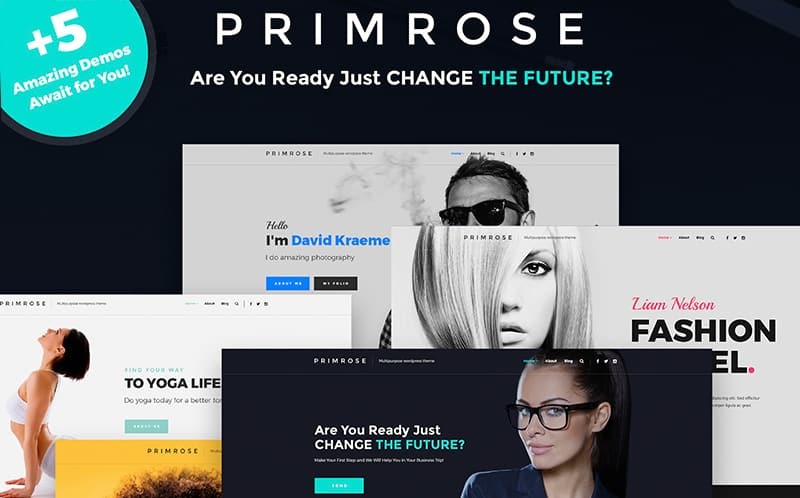 Primrose will suit any business solutions thanks to the theme’s versatile features and comprehensive set of layouts. The template offers 5 stunning homepages, the rich variety of high-quality images and amazing blog page. Thanks to Parallax technology built-in, your website will have outstanding visual effects and features to grab the audience’s attention. 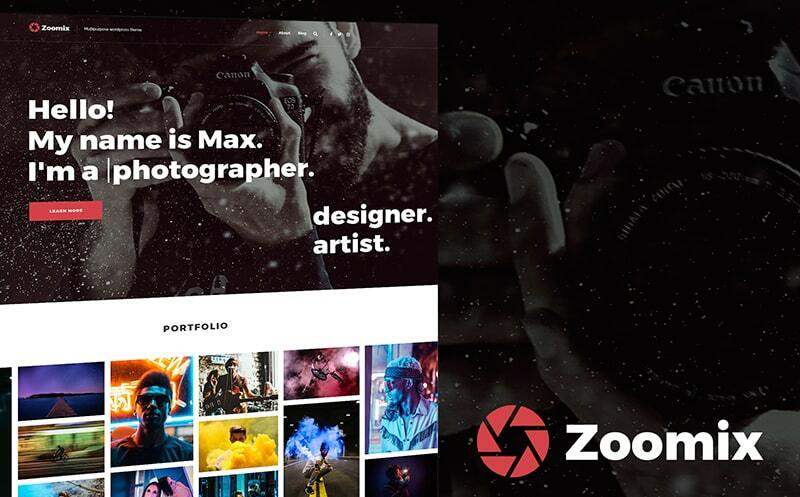 Zoomix theme is the excellent digital solution aimed to showcase your photography skills. It includes catchy gallery, a plethora of opportunities in customization and different header and footer styles. Multiple blog variants will help you share your ideas and keep your audience updated. 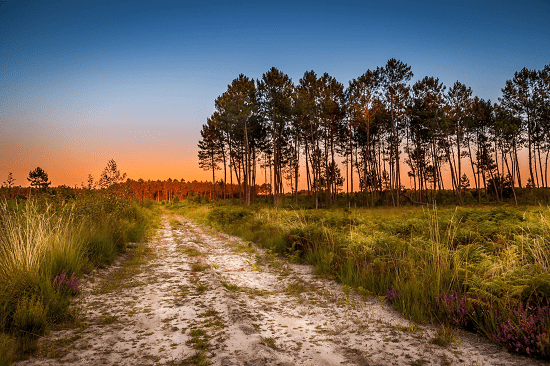 This template will come in handy those who are looking for ways to demonstrate their photography talent and professional knowledge. With WP Visual Composer, it will be easy and fast to build various pages and stuff them with content. Get noticed on the web with the theme’s Retina-ready modern design and extremely smooth performance. With Projector’s tech possibilities, you can present your pieces of art in an all-winning manner. 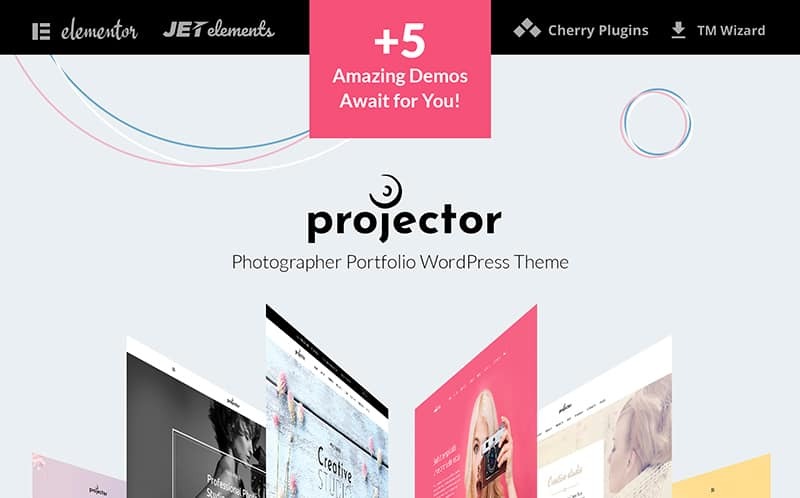 If you want to understand what the theme includes and how your site would look, you can look through 5 amazing demos. With Cherry plugins and a number of additional features, your site will help you stand out from the digital competitors. 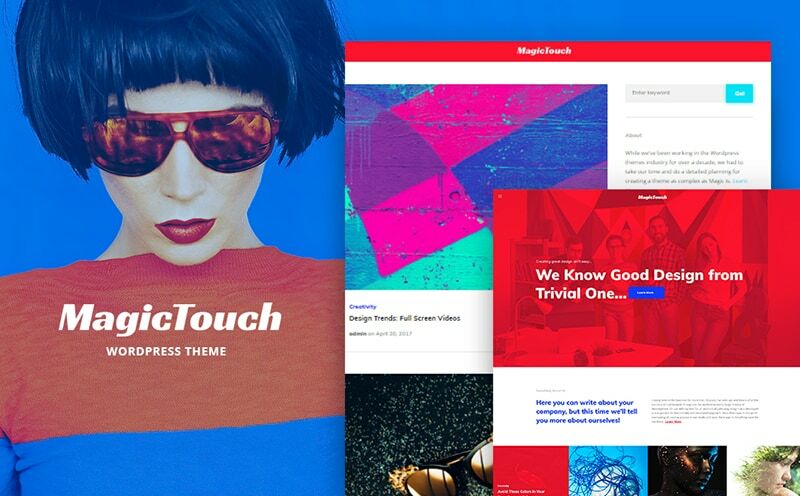 This list of handpicked responsive themes proves that the process of site building and customization can be easy, fast and engaging. 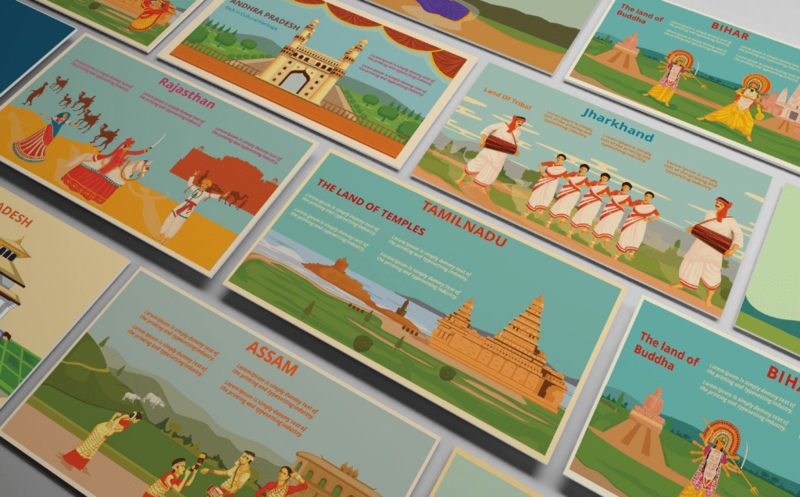 All of them are carefully designed to showcase your resume and portfolio. The rich package of advanced functionality, outstanding plugins and unlimited color/fonts variations allows to personalize any theme up to your preferences. 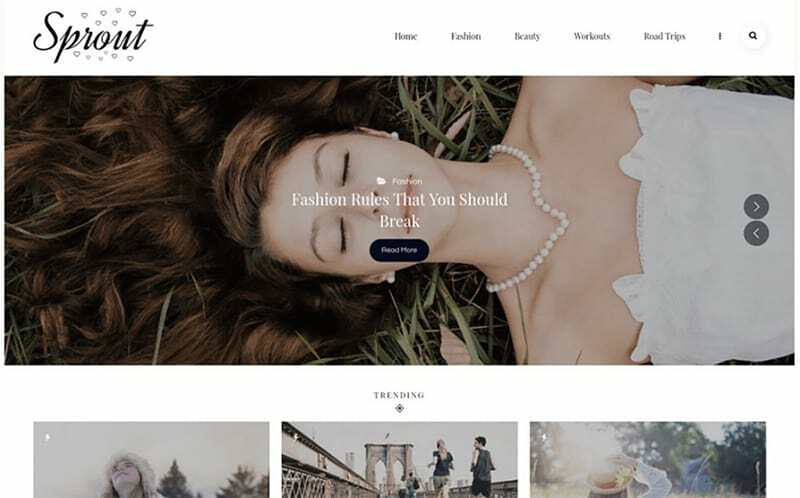 This entry was posted in Graphic Design, Templates and Themes, Web Design, WordPress and tagged Blog WordPress Theme, Creative WordPress Theme, Personal Blog WordPress Theme, Portfolio WordPress Theme, responsive wordpress templates, Responsive Wordpress Themes on May 3, 2018 by John Walker. People are so into food nowadays. 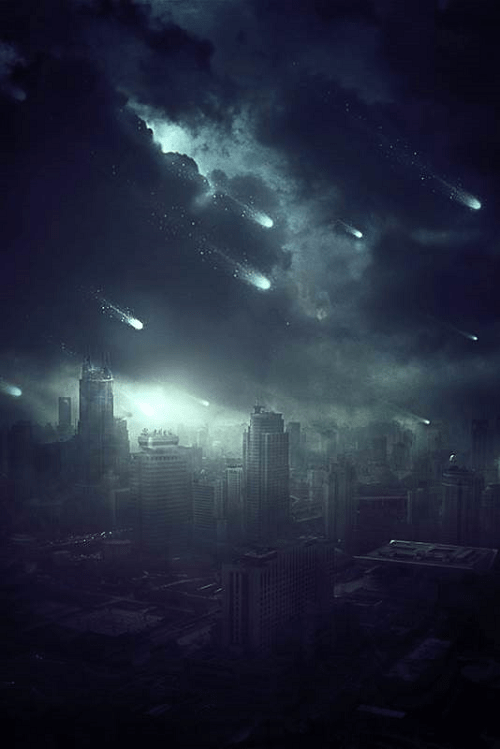 Not surprisingly, since it is one of the key elements of the human survival. Still, we cannot ignore the other side of cooking, which determinants its process as a part of the World’s Culture. 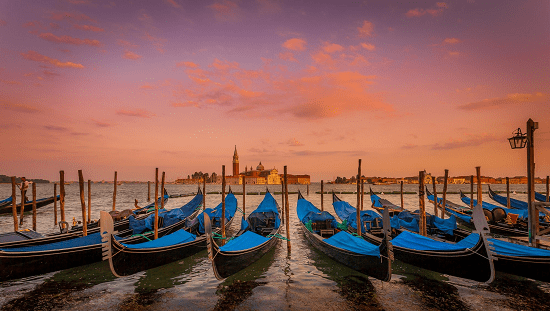 Gastronomic tours are getting extremely popular today. That is why there is a huge increase in the new restaurants’ amount. In case you are considering the opening of a cafe/restaurant/bistro or you already are a pride owner of one, then take care of the effective online promotion for your restaurant. 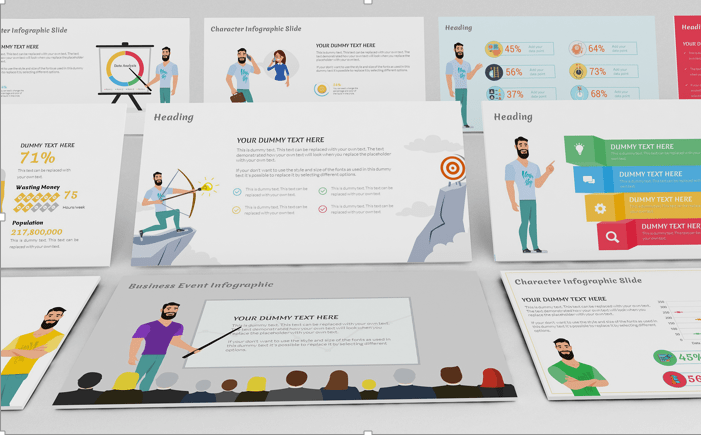 There are thousands of ready-made templates that you can use as a tool to extend your audience. We highly recommend you to use WordPress themes for that purpose. Since there are a lot of plugins aimed to enrich and adjust the website functionality according to your needs. 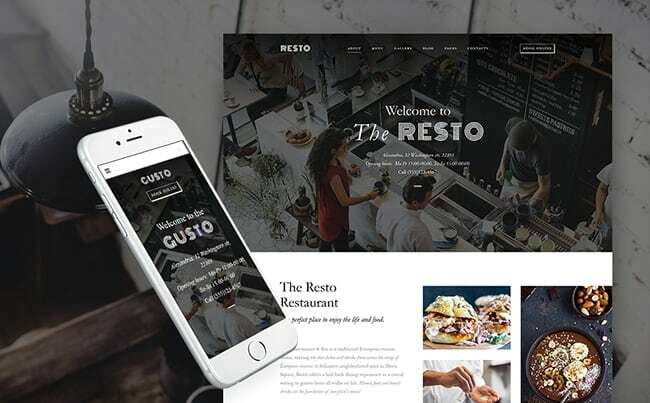 We have prepared a list of beautifully designed WordPress restaurant themes to shorten your path of finding a perfect template for your restaurant representation. If you are looking for a clean and elegant background for your delicious recipes, that Viva Veggie theme is the one for you. Its stylish layout built with Bootstrap and corresponds to the latest standards of coding. The template has an intuitive admin panel, so you can drag elements around the page and watch changes live instead of working with code. Your visitors will enjoy exploring your 100% responsive design on any screen resolution. 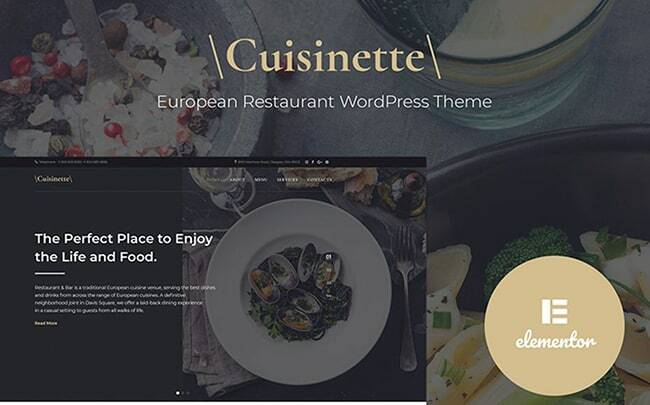 Cuisinette template will perfectly fit both small cozy bistro and Michelin Star owner. It has a huge variety of pre-made pages, that can be easily edited by means of Elementor page builder. Buying the theme you get lots of bonuses, such as tons of yummy images that are aimed to spice up the website look. 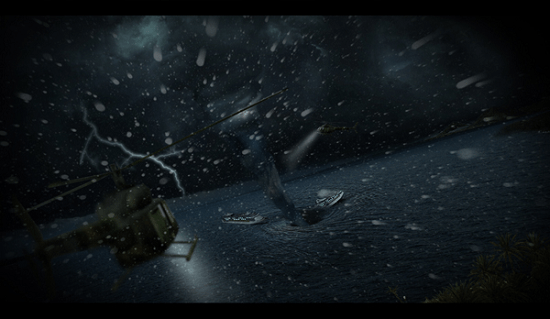 Also, you get Jet Elements and Jet Menu plugin included. 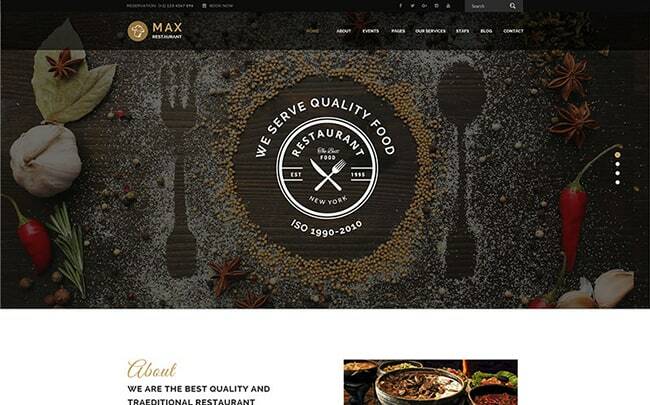 That will help you to enhance the functionality of your restaurant template. Get the maximum advantage of the WordPress template purchase. This one has a user-friendly admin panel and requires minimum knowledge for its adjustment. What is more, the theme goes equipped with Visual Composer drag-n-drop builder and handy WordPress Live Customizer. Thusly, you can not only customize your website on a drag-and-drop basic but also add changes to your page and watch results without making it live. Get your visitors stunned with a fresh and clever Plantables template. This WordPress template goes with tons of useful features directed on the creation of the effective presence. For instance, you can use Visual Slider on the Homepage to showcase your culinary masterpieces or simply demonstrate latest deals. Thanks to the booking and ordering buttons you will succeed in the conversion of a regular website visitor into your regular customer. 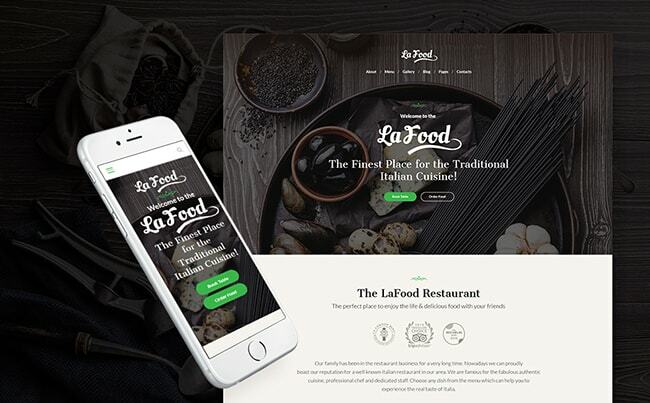 Spice up the promotion campaign of your Italian restaurant with a modish La Food template. Built with Power TemplateMonster drag-and-drop builder this theme gives you lots of various options for a completely painless customization. The pack of Cherry plugins enriches template with a full-value e-commerce functionality. Due to the fact, the template with a streamlined setup wizard, you can install it in five minutes and enjoy the impressive results right away. 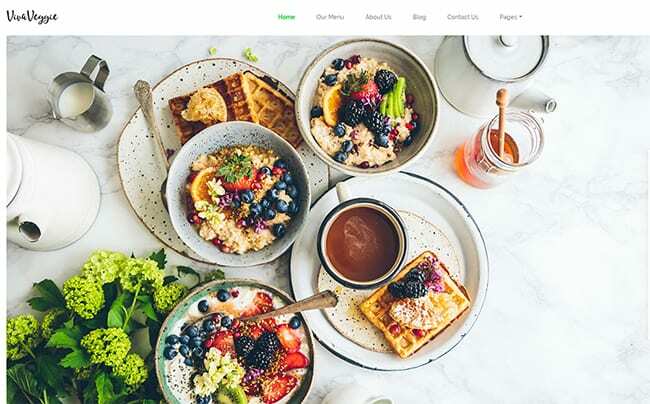 Are you looking for a stylish web solution for your cafe? Here is a Gusto template that will definitely cover all your needs. Choose from multiple layout options to find the perfect website structure. With ready-to-use content modules, you can fill your page with a different content, enrich it with buttons, images, tables, sliders, contact forms and other elements. With a neat Appointment manager plugin, you will boost the conversion level at once. 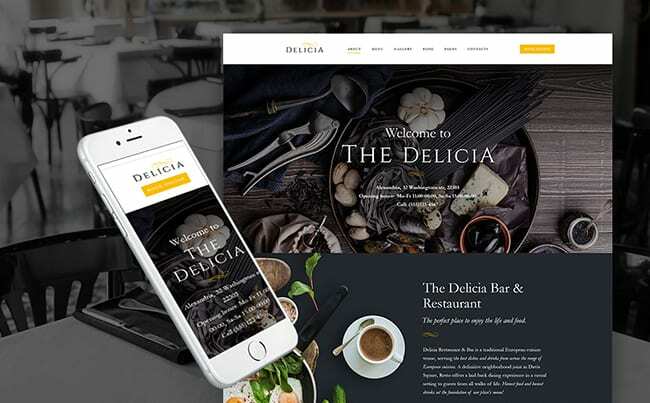 The sophisticated look of the Delicia template will impress your visitors from the first sight. 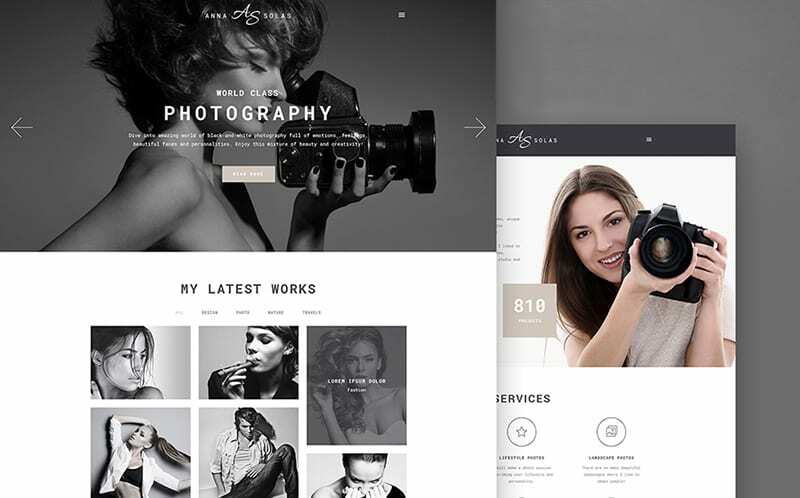 Crafted with care, the template provides your clients with a sleek navigation. What is more, it corresponds totally with the latest standards of web design. You have 7 header layouts to choose from, thusly you have different ways to highlight your personality. It also has a bunch of custom widgets, that give you a bunch of additional options for the content representation. 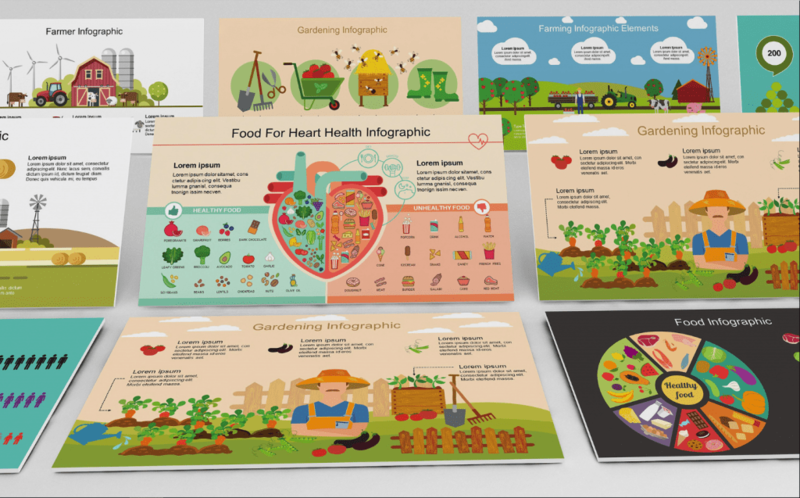 Here is a great template that will help you to excite gourmets from all around the web. 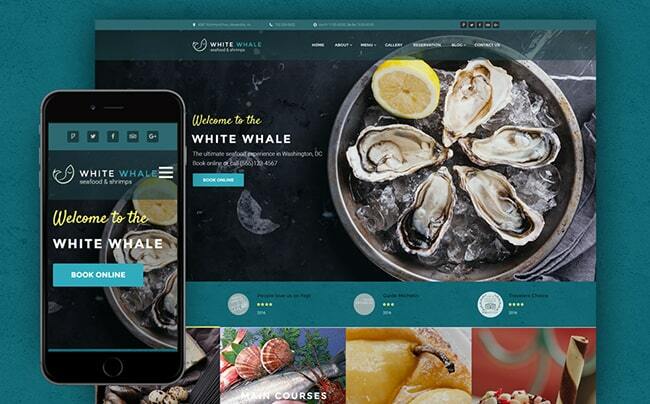 White Whale template has s lovely color palette will serve as a beautiful background for seafood dishes representation. It has a fully-fledged restaurant menu and the online reservation option. The customization process requires no coding skills, since the template equipped with a handy Page Builder, which allow you adjust your pages playing with content modules. 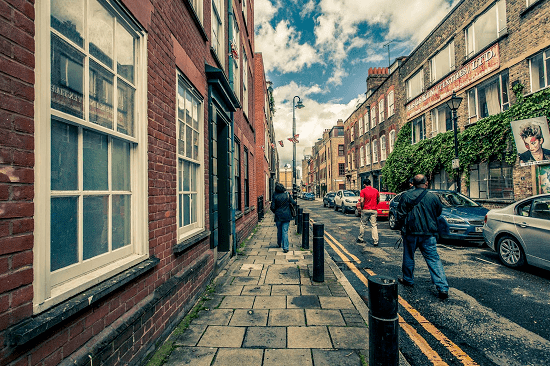 Do you run a Jewish traditional food restaurant? We have a template, created for your niche specifically. 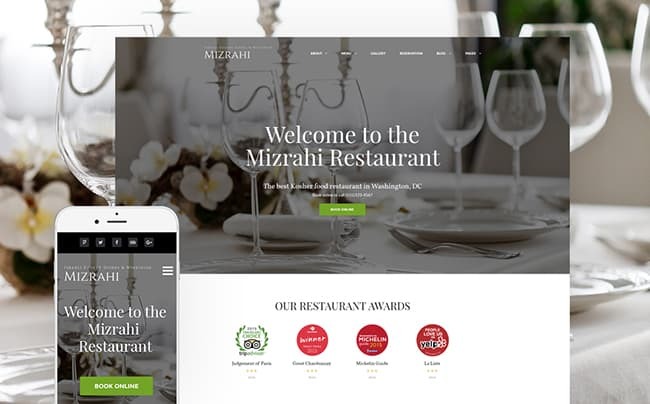 Mizrahi template goes optimized for search engines and 100% responsive, thusly you can be sure your website will look unblemished on any device with any screen size. You will enjoy its advantageous functionality and the power of custom widgets. It also has a precise restaurant menu plugin, that can be displayed in posts, pages, and sidebars. Check out a nifty and simple look of the Tanaka template. This theme will highlight the uniqueness of your restaurant among other ones. It has a flexible layout that you can easily adjust via drag-and-drop builder. You can choose from 500+ Google fonts and create a beautiful framing for your content. The template goes with easy-to-follow documentation, thusly you will have no problems while the installation and personalization stages. 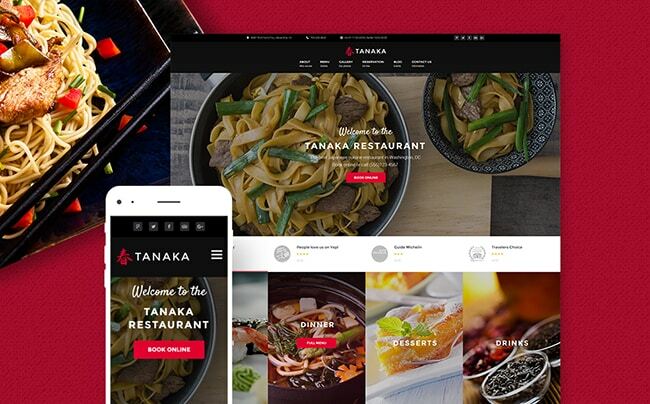 This entry was posted in Graphic Design, Web Design, WordPress and tagged Cafe WordPress Theme, Japanese Restaurant WordPress Theme, Restaurant WordPress Theme, WordPress Restaurant Themes on April 24, 2018 by John Walker. This entry was posted in Graphic Design, Web Design on April 20, 2018 by Michael Pignataro. The world of web is so powerful these days that we can imagine our life without it. Here you can do business, find various services, products, whatever. Well, we can make a conclusion that every biz needs to be online to be compatible and successful. 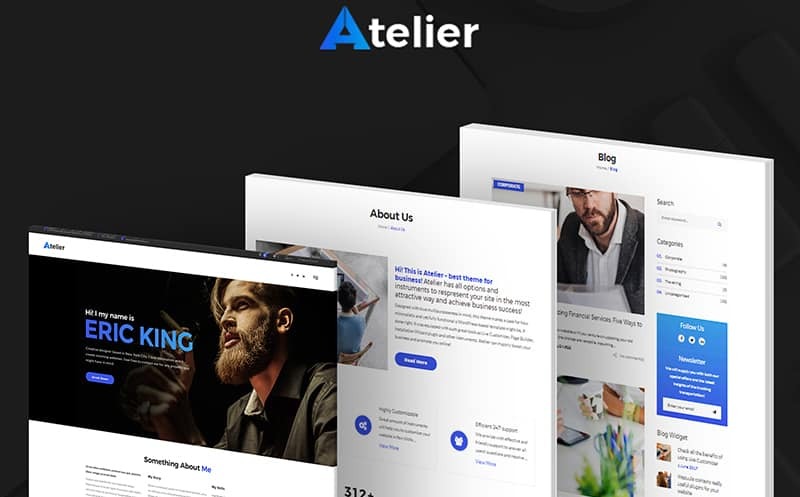 Therefore, follow the article to find out how these best selling WordPress themes can make your biz a real leader in your niche! Well, there are many ways to promote and represent your biz. There are tons of different social media types where you can create an account and showcase your biz. However, do these accounts allow you to showcase your services or products in a professional manner? I don’t think so… It can be extra tools while spreading a word about your biz, but no a pro feature. To provide customers with your services, products, whatever on the high level, you need some top-class features. I am talking about the website that will highlight your skills and company in general. It is the best way to enrich the audience, to tell the whole world about your entrepreneurship, and so on. Having your own website means that you are a real pro whom customers can trust. When we are talking about the WordPress themes we can say that today’s market is full of companies that can provide yours with this CMS. However, we would like to emphasize TemplateMonster with a wide range of top-class pre-made website templates. Any template you need is in one place. So, feel free to stand out with your biz! Moreover, starting from 22nd to 25th of January you can save up to 35% on any template from TemplateMonster. Please, note that the discount depends on your order. Thus, if your order in no more than $75 the discount will be 20%. In case your order is from $75 to $139, you will get 30% off. And finally, if your order is more than $139 you’ll have a sweet discount of 35%. Also, pay attention to the premium themes, because only they have a discount. In addition, web design services have the same prices. But, they will play a huge role in the final discount, because every cent counts. This entry was posted in 'corePHP', Digital Marketing, Graphic Design, Web Design, WordPress and tagged discounts, most popular wordpress themes, sale, special offer, TemplateMonster, Wordpress Themes on January 23, 2018 by John Walker. TemplateMonster is ready to treat you with the much-anticipated presents long before the festive Christmas season starts. 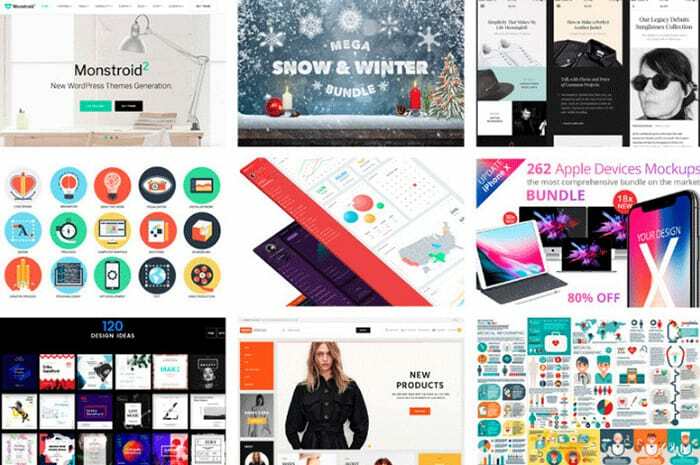 Following the latest news about the release of the ultimate web design bundle for web developers, the giant digital marketplace has officially released the all-in-one bundle for web designers and developers for $69 only. 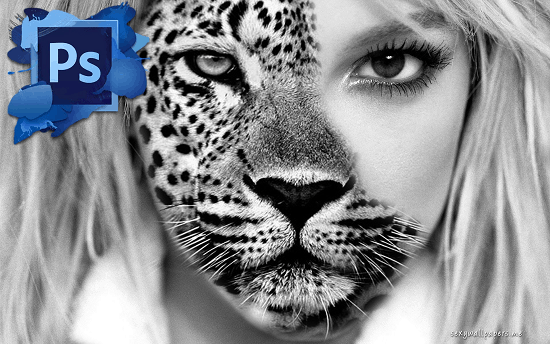 The bundle will be available for download at the slashed price for 5 days only – on December 11-15. Afterwards, the cost of the bundle will make up $3,000 during the entire next year. 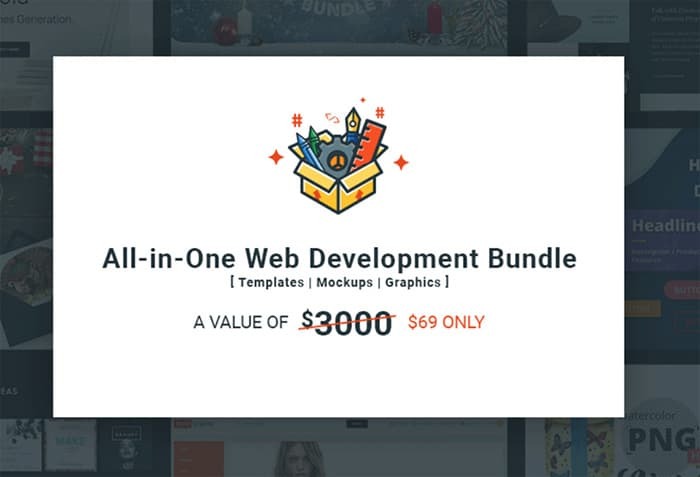 Why is it worth spending $69 for the ultimate web design bundle now? If you work in the web design and development niche, then you should know that the average cost of the premium WordPress theme from TemplateMonster digital marketplace makes up $75, which is more than the cost of the collection of premium web solutions suited for every purpose imaginable. 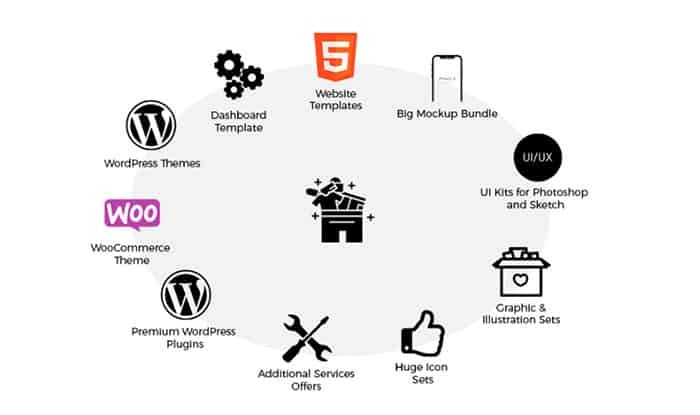 We have already seen a number of the announcements regarding the content of the ultimate web design bundle from TemplateMonster. Now, let’s consider the main reasons why this bundle should be added to your own collection of the premium web design solutions. 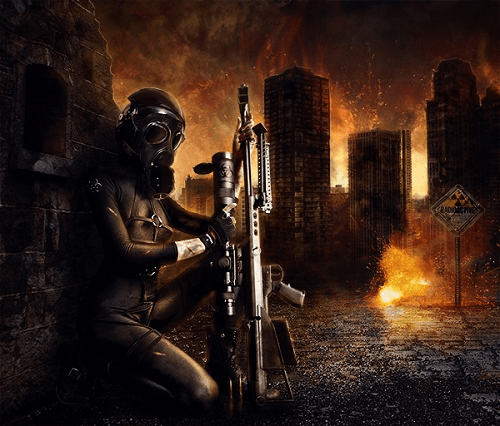 Monstroid2 – Multipurpose WordPress Theme licensed under GPL3 and containing premium skins and pro customization options needed to launch any web project in the shortest period of time possible. Woostroid – Multipurpose WooCommerce Theme featuring GPL3 license and featuring all functionality needed for building the full-fledged web stores. 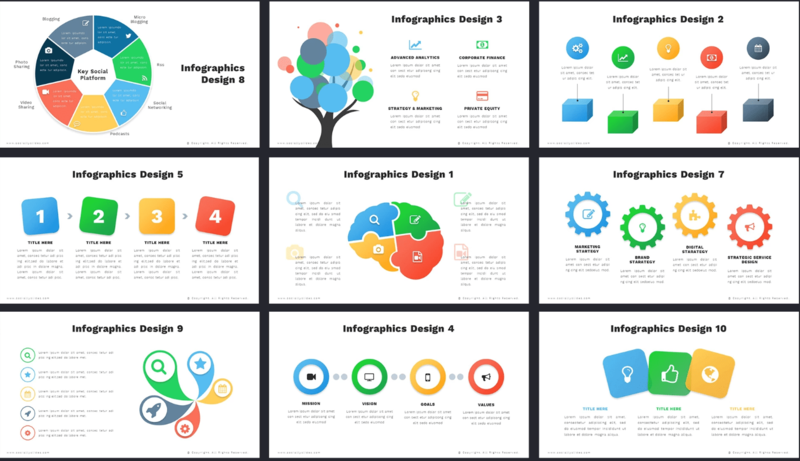 6 premium templates (including dashboard template kit). 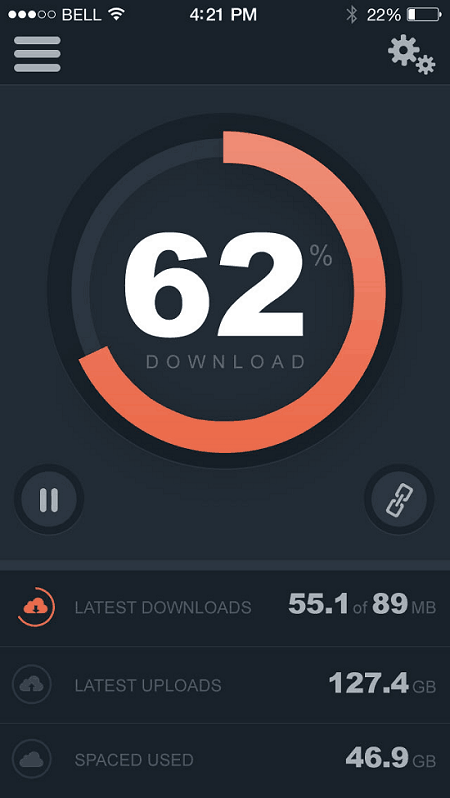 Impressive UI kits for Web and Mobile Apps designs. All premium plugins that you need to develop WordPress-based projects. A premium drag-n-drop editor page builder. All this will help you build a number of the great and competitive web projects during the whole next year. Are you ready to benefit from this lucrative web offer from TemplateMonster? Do not hesitate to grab it for 2% of its cost! 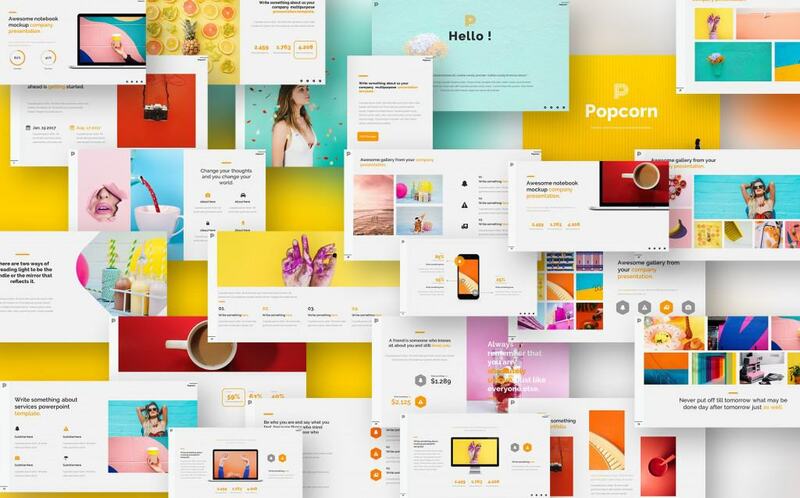 Starting from December 16, the all-in-one web design bundle will be available for download for the full price of $3,000. 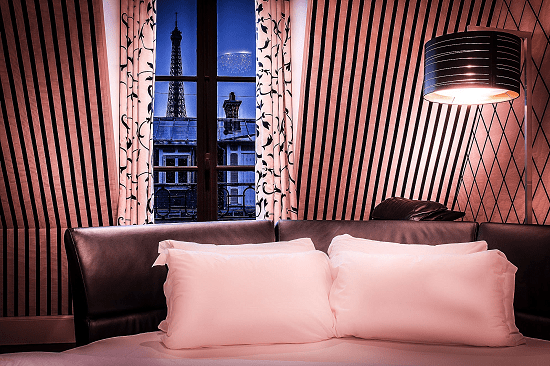 This special offer is valid for 5 days only on December 11 – December 15! This entry was posted in 'corePHP', Digital Marketing, Graphic Design, Technology Events, Web Design and tagged best-selling WordPress templates, bundle, Design, development, Themes, web design, Web Development, Web Development Bundle, Wordpress Themes on December 12, 2017 by John Walker. 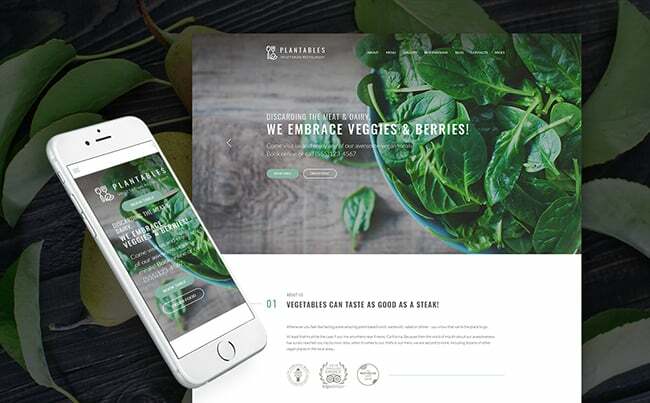 This entry was posted in 'corePHP', Front-End Design, Graphic Design, Web Design on October 6, 2017 by Michael Pignataro. This entry was posted in 'corePHP', Digital Marketing, Graphic Design on November 28, 2016 by Michael Pignataro. Iconography is a must-have discipline for every designer. It reveals the key principles of correct icon creation and implementation in web designs. 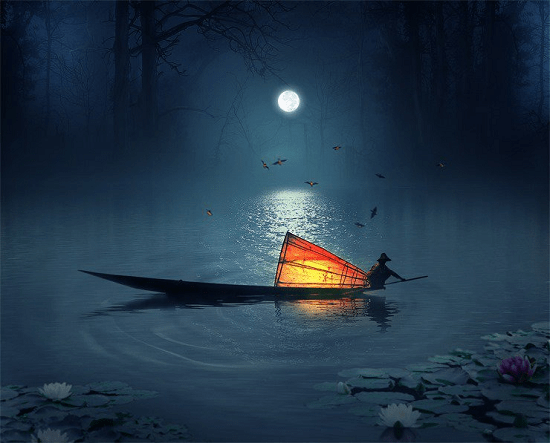 It’s all about symbolic representation and meanings attached to images, icons in this context. Embodying aesthetics (composition, proportions, line weights, positive/negative space) and functional components, iconography tells how icons should be created and how to implement them correctly in web projects. For example, one of its rules is coincidence of all icons in one design. There can be a lot of them, and each one should communicate its own idea, but at the same time it should harmoniously behave and relate to others within a design piece. The main focus of iconography is an icon. It supports the whole design concept, communicates certain information, grabs attention and draws visitors into the site content. 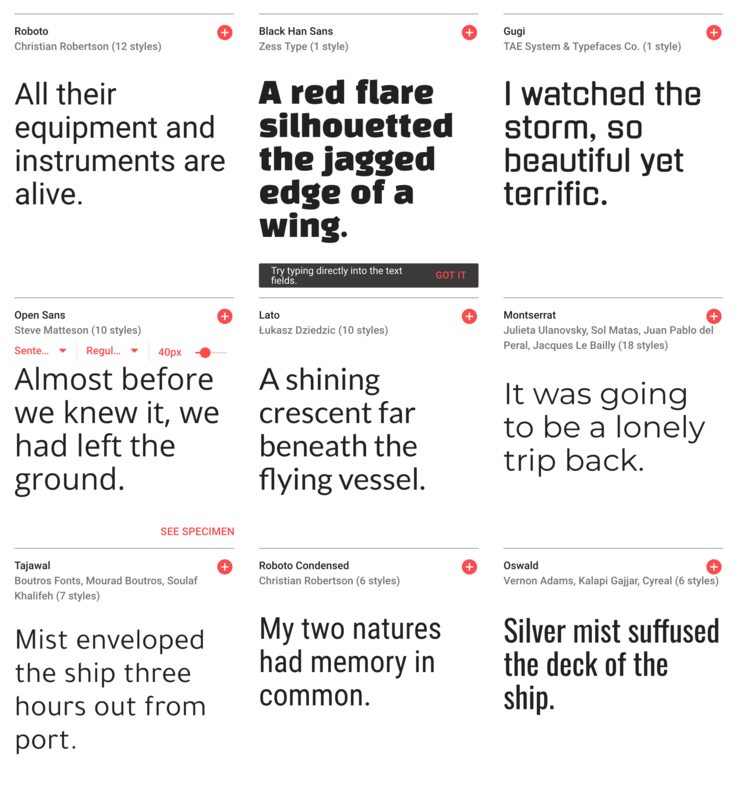 It’s also used for visual breaking of paragraphs, and enlivening the content. 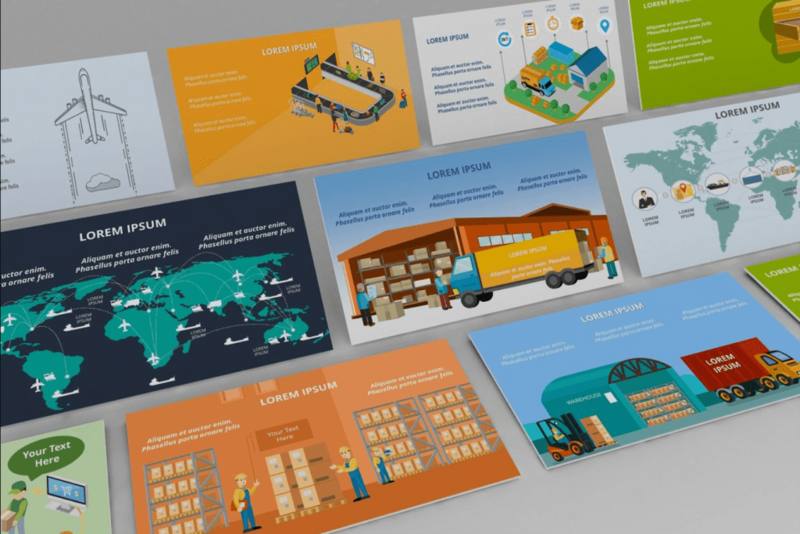 With the help of icons, users can quickly gather the desired information, find what they need on the site and seamlessly read even the long text. The most used places for icons are titles (they add a creative touch), long content, paragraphs. The general purpose of their usage is focusing attention on something and spicing it up. It can be a list, a text, a feature, a service, a title, etc. When it comes to their look, it should be trendy and effective. Some time ago glossy icons were extremely popular. This year when minimal design trends hit the web, clean & clear icons are in a great fave. They can be flat, colored in various hues, with or without reflections, but always refined and cool. There are various formats of icons. They can be pixel-based (PNG, JPG, PSD), and you can’t enlarge these icons without losing quality. Most preferable are SVG icons. They are vector which means that they can be scaled. What a sense in a nice icon, if you can’t use it in the desired size? SVG icons always maintain their high quality. You can create the desired icons yourself, or say many thanks to other designers and download their freebies. God bless all of them who create professional stuff and offer to get it for free. Here you’ll find packs of free SVG icons that contain items (with various backgrounds, colors, etc.) for whatever design projects. Grab any pack you need or download all of them to have in your collection. 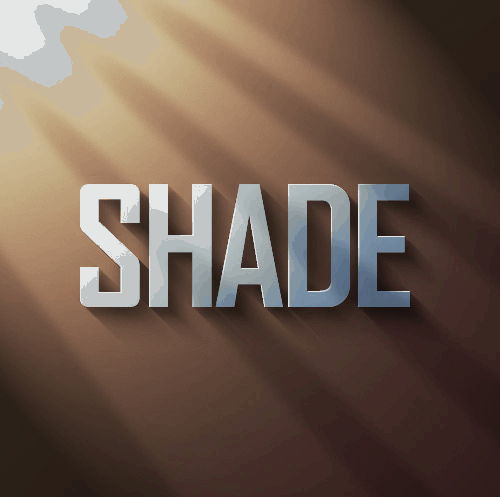 This entry was posted in Graphic Design on July 25, 2014 by John Walker. 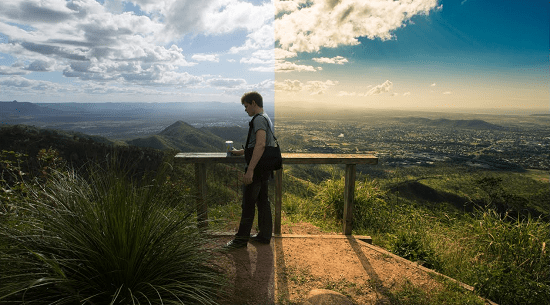 In this second part of the series, we continue with some more exciting Photoshop and Lightroom tutorials to learn from. We have covered a wide range of tutorials in the part, from 3D text effect tutorials to black-and-white and HDR image development tutorials. Some tutorials are quite easy and quick to learn, while some can take some serious time and effort to grasp and implement. So don’t worry if you can’t understand a particular tutorial fully in one chance, give some time, read it again and again until you are confident enough with the idea. 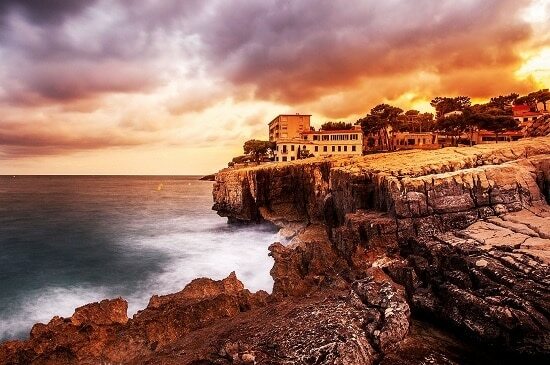 Create bright, vibrant and dynamic sunsets which are generally lacking in your photos. 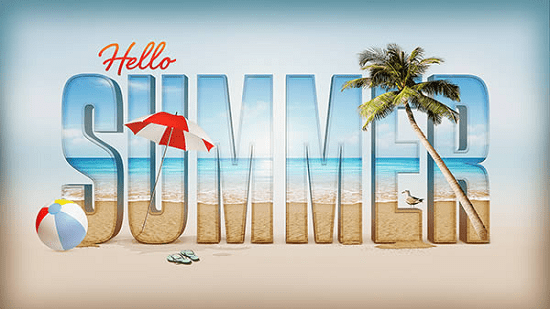 Beat the heat by creating a summer inspired text effect, learning various text and 3D techniques in the process. Learn the techniques of taking multiple exposure shots and merging them using Photoshop and Lightroom both. Learn to create an awesome smudged ketchup text effect in Photoshop. This tutorial touches a little bit of Illustrator too. 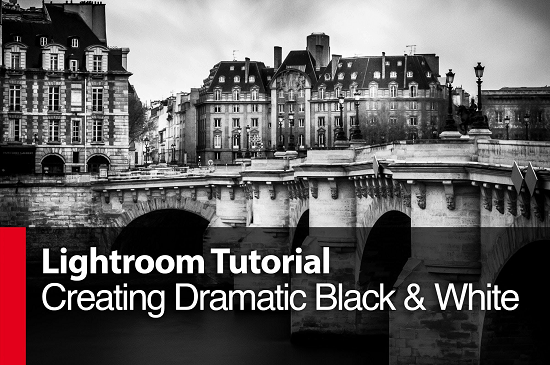 Creating a black & white photograph might seem easy, but bringing the real essence out from only two colors is a difficult task to attain, but this tutorial can help you get it done in an easy and simple way. 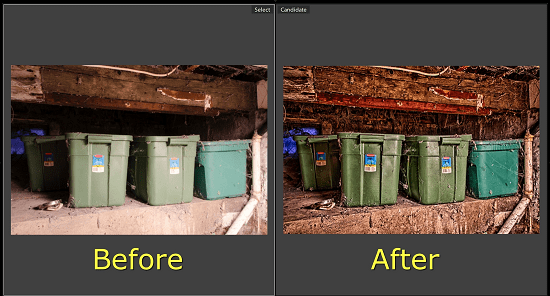 Quick and simple tutorial to create a HDR look of your image using Lightroom, using only a single photo. Learn an easy yet interesting technique of pixelating images using triangles instead of squares in Photoshop. 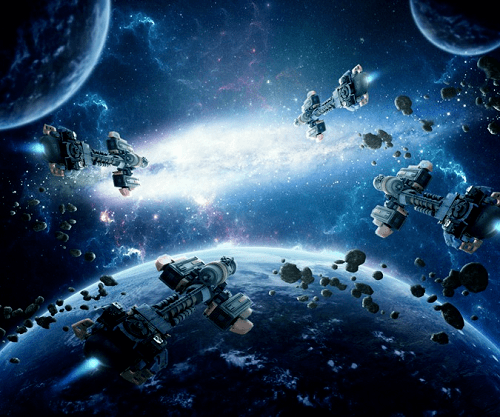 Learn how to create an amazing cinematic space battle scene in Photoshop. 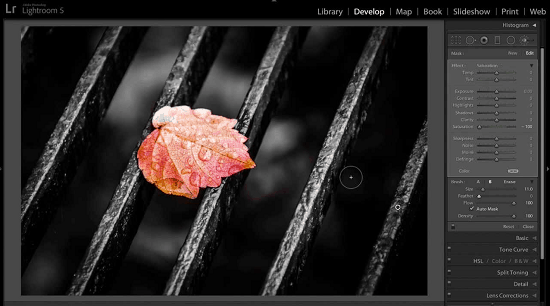 Give your landscape photos an extra level of attention using this simple yet amazing tutorial. 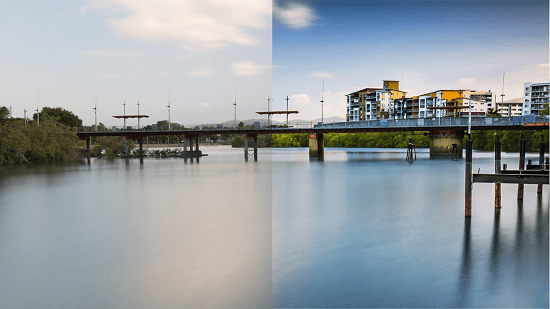 An in-depth tutorial teaching you the simple techniques of dramatically improving a landscape images in Lightroom. 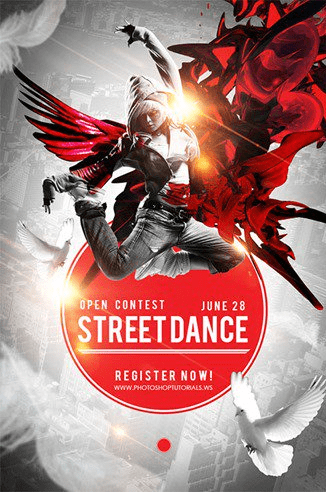 This entry was posted in Graphic Design and tagged Lightroom Tutorials, Lightroom Video Tutorials, Photoshop Tutorials, Photoshop Video Tutorials on June 16, 2014 by Aritra Roy.